Depending on which inlays are used in the Aluflex mats, these mats are very suitable for both the first and second entrance areas. The Aluflex brush mat is most suitable for the first entrance area, outdoors, to keep coarse grit and sand outside the premises. When you step inside, carpet can be used to remove the remaining dirt and moisture from the shoe soles. This is the ideal way to keep your company, building, office or shop perfectly clean indoors! 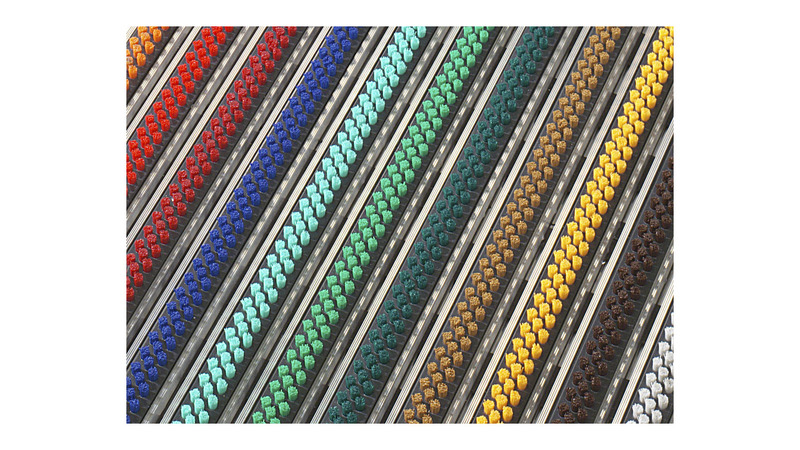 The Aluflex mats are constructed from aluminium profiles with three rows of brushes, 2 cm-wide strips of polyamide carpet, EPDM rubber strips, 10 mm high needle punch carpet or a combination of these. The possibilities of different combinations between brushes, rubber and carpet provide an optimal scouring action. The profiles are bound together with a durable and flexible PVC strip. This makes that these mats are very flexible and can easily be cut in any desired shape.